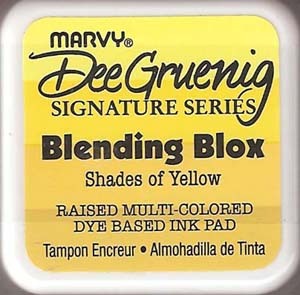 Raised four-colored dye based ink pads from Marvy Uchida. Each pad contains graduated hues of one color family that harmonize perfectly to provide great blends and variations of color. Acid free & non toxic..